Welcome to the March/April i2S News! This is our bi-monthly notification of new additions to the resources on the i2S website (http://i2s.anu.edu.au/resources). 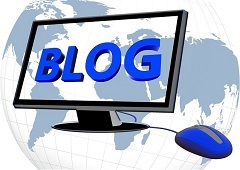 It also provides a list of the latest blog posts on the Integration and Implementation Insights blog (http://i2insights.org). Purpose: Nominal group technique is a special-purpose method for problem solving or idea generation. It taps and combines individual judgments to arrive at decisions that could not be determined by one person. It is not a tool for routine meetings or for negotiating or bargaining. It is not a tool for routine meetings or for negotiating or bargaining. Instead it is a technique for judgmental or creative decision making where there is lack of agreement or an incomplete state of knowledge about either the nature of the problem or about what is required to reach a successful solution. Subscribing is a two-stage process. After you enter your e-mail, a confirmatory link will be sent to your e-mail address. Once you click on the link your subscription will be complete. Join us if you are developing concepts and methods to improve understanding of and action on complex social and environmental problems.